SHARKS! and what to expect from your Advanced Open Water Course in 2019! Most of us start our diving life in a similar way – trying to get our head around the idea of neutral buoyancy; asking our buddies “B.W.R.A….what comes next?”; feeling a little self-conscious and giggly when we bump into things under water; in awe of the experiences of current divers and intrigued about how deep they have gone; and baffled as to how our instructors could possibly navigate their way around – while not getting lost – and safely return us to the shore. The good news is that, after your Open Water Diver course, it only takes one simple step to start feeling confident about your buoyancy and navigation skills; to get the training you need to go deeper; and to start spending time with some out-of-this-world marine life! All of this can be accomplished by doing your Advanced Open Water Diver course. 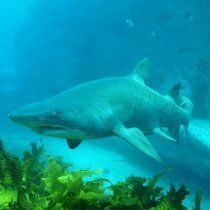 Do your Advanced with Grey Nurse Sharks! 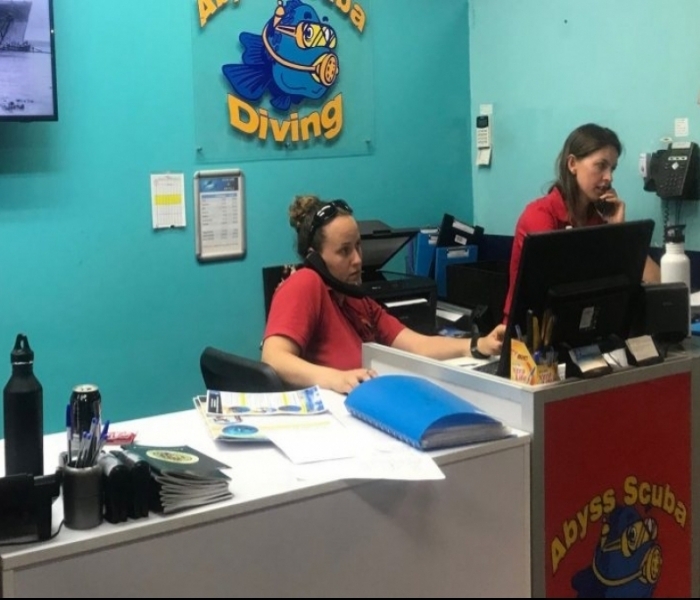 If our small instructor to student ratios, our diverse local dive sites, and our very very good looking staff aren’t enough to convince you that Abyss is the place to do your Advanced Open Water course, then I have one word for you: SHARKS! 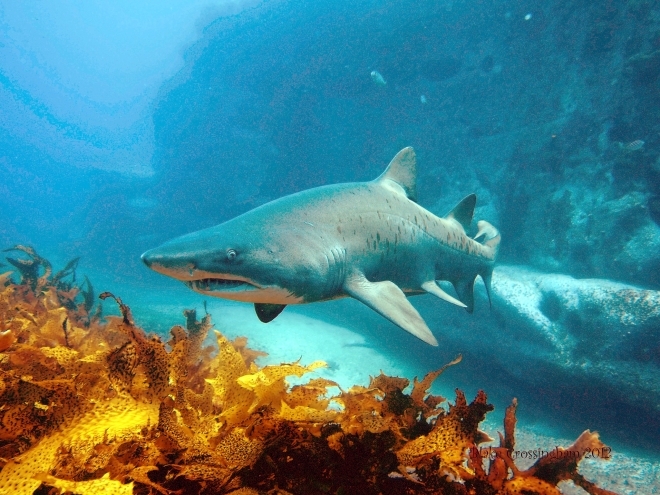 Starting in 2014, we are including a dive with the Grey Nurse Shark colony at Magic Point in every Advanced course. 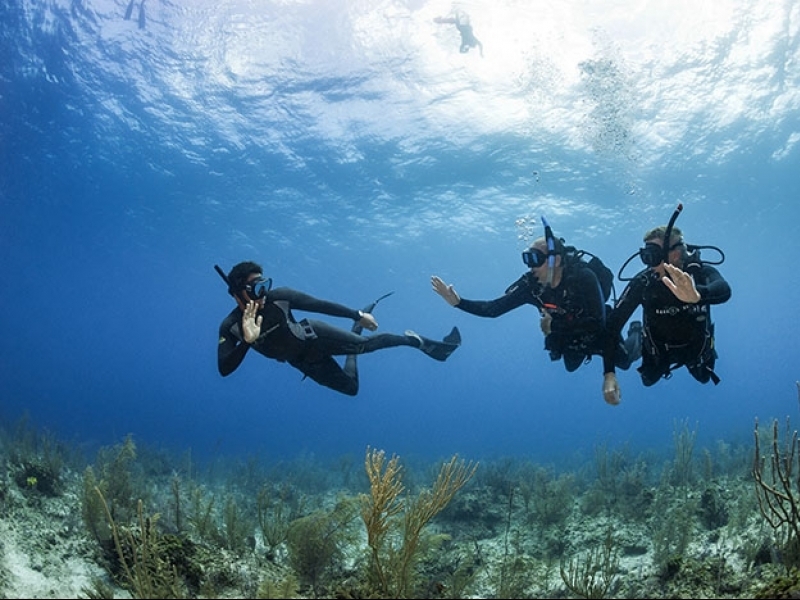 It will classify as your Naturalist dive, one of your five dives on the course, and will include training in how to identify sharks and their habitat. The dive is a boat dive which will take you to the site, located just off Malabar – so you’ll also learn loads about boat diving and the protocol that go along with it. Each dive, there are usually up to ten sharks hanging out by their caves and ranging up to 2.5m in length, as well as massive schools of fish and other marine life. Diving with sharks is a truly awe-inspiring and humbling experience that we’re so excited to offer our Advanced students. After doing the course, you get a new certification card which shows that you can dive to 30m! I often hear people debating the best time to do the Advanced Open Water Course. In Malaysia, the night after I learnt to dive, I remember hunting down my instructor in a local bar, to beg them to run my Advanced Open Water Diver course the very next day! I can only say that I have zero regrets about doing it this way, as my training enabled me to spend the rest of my holiday doing fun dives, diving deeper, feeling more relaxed and getting longer bottom times.